How was it possible for Jo. 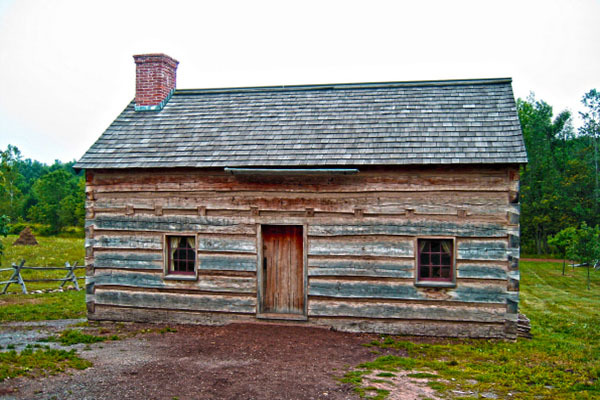 Smith, Junior, to become the prophet and leader of a religion with tens of thousands of followers–Mormonism, and also a candidate for the Presidency of the United States in 1844, when he only lived to be 39? I really wanted to know! This is the second post in the series. Like many families at the beginning of the 19th century, Jo. Smith, Junior’s family of 11 struggled economically and continued a generational pattern of moving west to seek better opportunities. By the time Jo. was 10, his family had moved from Vermont to the Palmyra/Manchester area of Western New York. Personal journals, published records, and newspaper accounts of the day are abundant, and because of his eventual fame and the lasting quality of the religion he founded, others have dug deeper into Jo.’s past and continued to publish what they learned. It is fascinating! Jo.’s father and brothers farmed, and Jo. helped as well, but it is evident from many sources that his heart wasn’t in it. Early on, Jo. was a dreamer, a dabbler in the mystical, and more interested in finding treasure than finding farm work. A mystical worldview was not uncommon. As first-time settlers moved west of the Appalachians, they discovered and plundered hundreds of Indian mounds that sometimes revealed caches of ancient pottery, silver, copper, and other valuable artifacts. Stories were spun to explain who had built the mounds and what had happened to them. Stories of buried Spanish gold and Captain Kidd’s pirate treasures abounded, as well. Many who practiced respectable professions also dabbled in treasure hunting. Others chose it as a profession. About 1830-31 a traveling treasure-finder named Walters who used the paraphernalia of a fortune teller appeared in Palmyra and was paid $3 a day by local farmers to identify the right places to dig for treasure. Records suggest that Jo. soon chose digging for treasure as the profession to earn his income, as well. He used a “peep stone” or “seer stone” to discern where various kinds of riches were hidden and people hired him to look for them. Jo. 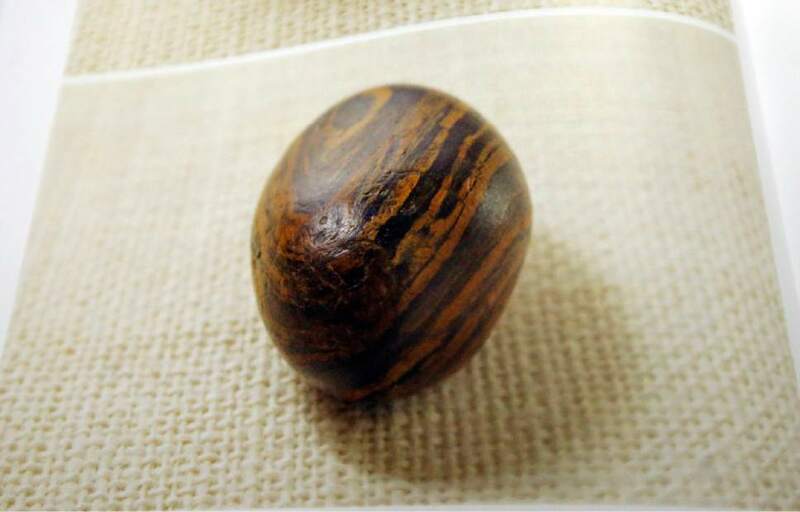 later also used a seer stone to “translate” the Book of Mormon. In August, 2015, the Mormon Church released the first official photo of it (See above). Using his seer stone for guidance, Jo. would specify the location of the treasure, the time of night the digging had to be done, and the incantations and sometimes blood sacrifices required to insure success. (It was noted that Jo. kept the sacrifices.) The diggers would do just as he said and dig until they hit something hard with their picks or shovels. Then Jo. would stop them and say that the devil or his spirits had moved the treasure deeper. Once he assured them that the wood they splintered off was from a treasure chest that was then spirited away. To the diggers, the fact that the devil himself would oppose Jo. only contributed to the strength of his powers and to his credibility. But everyone was not impressed. Best-selling biographer Fawn Brodie, in her epic work, No Man Knows My History: The Life of Joseph Smith, documented the records of Jo. being brought to trial in Bainbridge, New York, when he was 21, charged with being disorderly and an imposter. He freely admitted to practicing magic and seeking treasure. He was found guilty of disturbing the peace. Surely at the time, no one had any idea of how much peace Jo. Smith, Junior, would disturb in his short life, nor the impact his use of a seer stone would have. Stack, P. (August 4, 2015). Mormon Church Releases Photos… Salt Lake Tribune [Newspaper]. AP Photo/Rick Bowmer. This entry was posted in Getting to Know Jo. Smith on November 5, 2015 by lrmayfield.